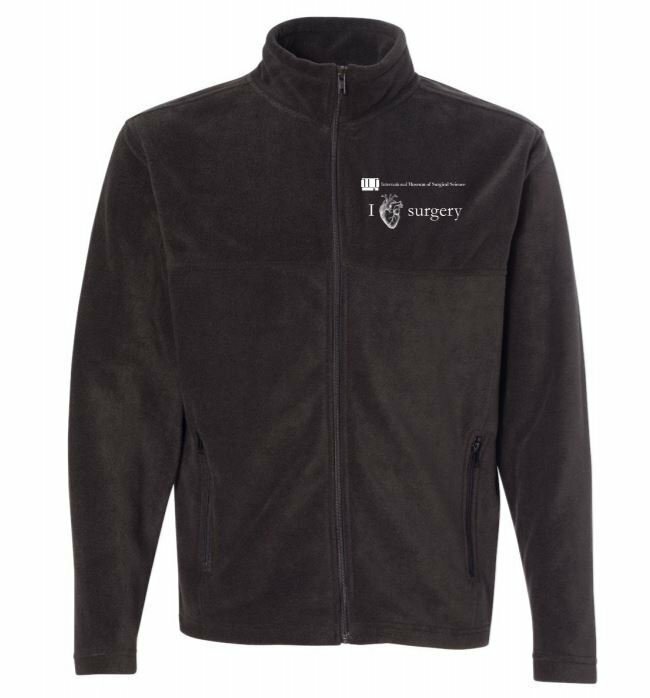 Colorado Clothing 7-ounce, 100% polyester microfleece. Clear coil zipper with dyed-to-match chain stitching and taping; pill-resistant, non-allergenic and breathable fleece. Shock cord and cordlock at hem. Zipper closure hand pockets. Unisex sizing.